Even on a diet you can still satisfy your chocolate craving. 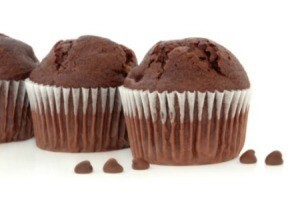 This is a guide about Weight Watchers chocolate muffins. These Weight Watchers muffins are so delicious. Try adding some cinnamon and nutmeg for some spice. Mix just these two items together. DO NOT add anything else that is mentioned on the box. It only takes these 2 ingredients. That's all. Mixture will be very thick (and you will be tempted to add something, but don't). Place in muffin tins, sprayed with non stick spray. Bake at 400 degrees F for 20 minutes. Makes 12 muffins. sounds good .. i love muffins but usually they aren't the best choice .. these are better! Using a cake mix is really bad. They are full of partially hydrogenated oils which are transfat, the worst kind of fat to clog arteries. The only safe way is to bake from scratch and use olive or canola oils. Oh, boy do these sound fantastically good! Thanks so much for sending these in! Do you think this recipe might also work as a cake in a 9x13 pan? We do not have tinned pumpkin in SA. Could I use cooked pumpkin, and if yes, how much?